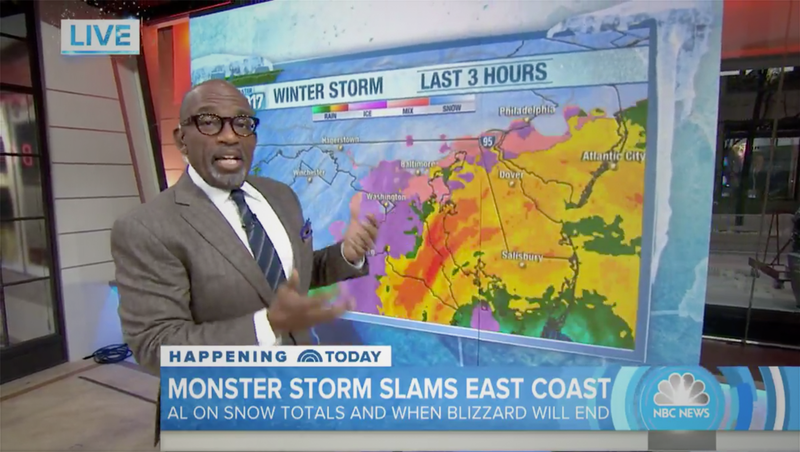 NBC’s “Today Show” went all out with using Studio 1A’s video panels and monitors for its coverage of winter storm Stella. 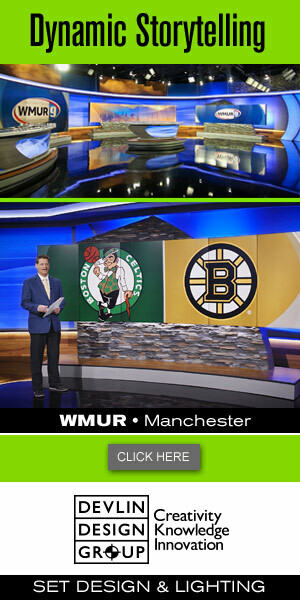 The show started an extended segment featuring Al Roker with one of the studio’s freestanding vertical video panels showing road footage. Next, he moved over to the studio’s so-called “Production Area” where the modular panels were arranged into two separate segments. Then, he moved to the touchscreen monitor that he frequently uses, though it was relocated from its normal spot camera right to next to the production area, for the bulk of the segment. Finally, he transitioned over to home base, which was decked out in the show’s icy-blue storm branding.